In celebration of his 10th year, Gerald Anderson holds his first Andersonbootcamp in Ocean Adventure last June 12. It was Gerald's idea to come up with a Military theme sports event for his supporters as his way of thanking them for the continuous support and love. 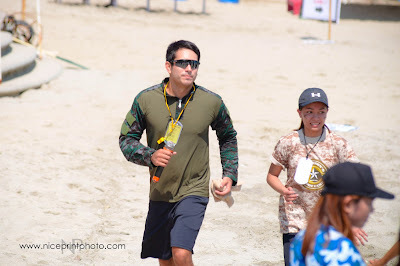 No idea of what was in store that day, the event was participated by Geralds solid fan groups namely Ashralds, Sagefied, Gerald Angels, Superfriends, Solid Kimerald, Kimerald 4Ever, and Geraldnaticx who travelled all the way to Manila as early as 3am in the morning. As early as 7am, everyone assembled as Gerald gave his opening remarks and the fan groups showed their skills in the cheering competition. There were 8 thematic kinds of games that were prepared for a whole day of event. His fan groups Gerald Angels and Superfriends emerged as winners. 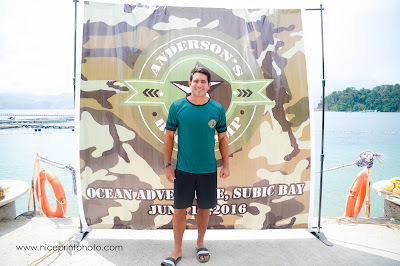 One of the highlights that day was the surprise a AVP of Gerald's fan group. 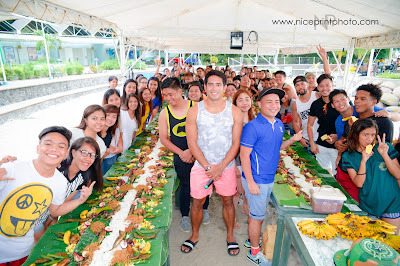 The event ended the day with a boodle fight as a way of celebrating Geralds 10th showbiz anniversary.